Business-minded with a community focus. An experienced manager seeking a position in community affairs with an organization that will utilize my broad range of skills and knowledge in operations, government affairs and strategic planning. Developed strategic business plan and responsible for financial management and accounting for film production company. Senior business development manager and leader for community affairs and government relations. Responsible for facilitating final bid proposals ranging in amounts of $35 Million to $250 Million by consortium of nine construction management and operations companies competing for MWBE contracts in public transportation and real estate projects. Provided strategic counsel to consortium CEO’s and coordinated outreach to elected officials, business, and civic leaders. Managed and completed state and federal MWBE certification process for the consortium members. Compiled, edited and produced documentation for final submission of requests for qualifications. Served as the primary interface for all service providers, suppliers and local, state and federal education departments. Responsible for daily operations of school’s management company at two locations. Oversaw final construction and opening of new facility in NYC for middle school students. 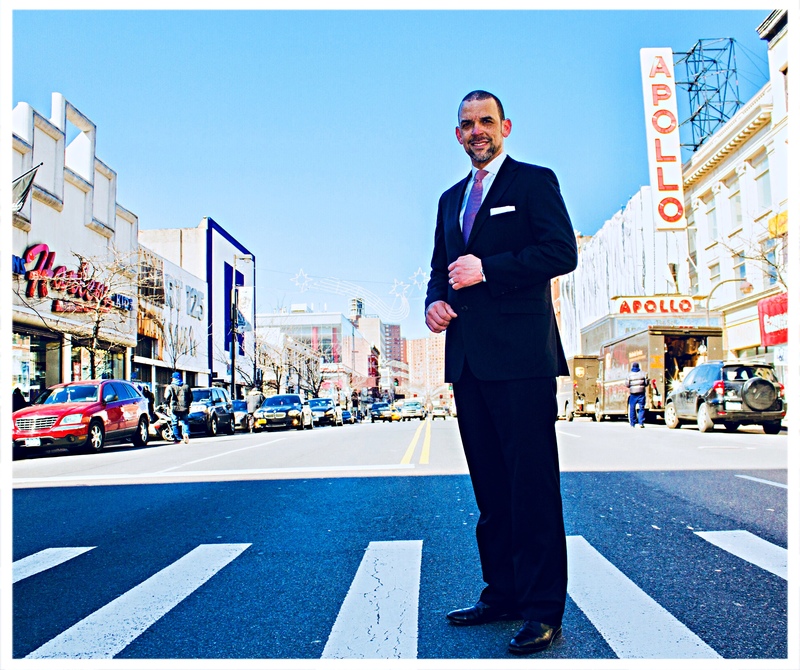 Responsible for human resources, procurement, and facilities management for school’s Harlem location. Managed payroll, bill payments, vendor selection, contract negotiations and local, state and federal reporting. Prepared annual budget, monitored spending and handled monthly reporting to independent accounting/audit service provider. Compiled reports and supporting documentation for monthly board meetings. Mounted an efficient and impactful campaign. Generated $250,000 in fundraising, managed team of five full time staff and over fifty volunteers; received major endorsements including by NY Post and the current Mayor of NYC; and obtained more than thirty percent of the final vote. As a first time candidate for public office I successfully generated more than $200,000 in fundraising; received significant media coverage; and achieved a respectable vote count. Primarily responsible for business development and community outreach for impactful relationships in commercial lending, small business lending, government banking and real estate investments. Senior Community Reinvestment Act (CRA) compliance officer for 8 evaluation areas in New York State and Northern New Jersey. Prepared reports and made presentations on bank’s CRA performance, and submitted metrics for bi-annual review to the US treasury Department (FDIC). Provided general counsel to five individual regional presidents and senior management on performance goals, and specific target areas prioritized by the bank. Represented the bank on several boards including the Local Initiatives Support Corporation (LISC), and the NY State Banking Economic Advisory Committee. Managed $150 million of bank investments and loan fund partnerships. Promoted in 2009, to Vice-President when Commerce Bank was acquired by TD Bank; and credited with improving branch operations and generating over $32 million in new business, and $75 million in construction loans. Responsible for community outreach and communications. • Managed all marketing and public relations activities. Worked closely with COO and CEO of the organization to implement strategic plan. Developed and composed marketing materials, press releases, project plans and reports. Oversaw annual $50,000 to $250,000 marketing budget. Conceived and implemented strategic marketing campaign targeting tourists to Upper Manhattan. Public relations strategy, political campaign strategy and crisis management strategy. Special events coordination and management and large-scale meetings and presentations. Lecturer and public speaker with media appearances on subjects including business and personal finance, politics, technology and current affairs. Excellent written communication skills including online content creation, social media, HTML and content management software.